Iranian naval general says Iran has 'complete control' of shipping lanes through which a third of the world's oil passes. Iran has seized control over the Strait of Hormuz, a major shipping lane through which one third of the world's oil passes, an Iranian naval commander said Monday. Gen. Alireza Tangsiri, the head of Iran's Revolutionary Guards' navy, stated that Iran now controls the Strait of Hormuz and the entire Persian Gulf. 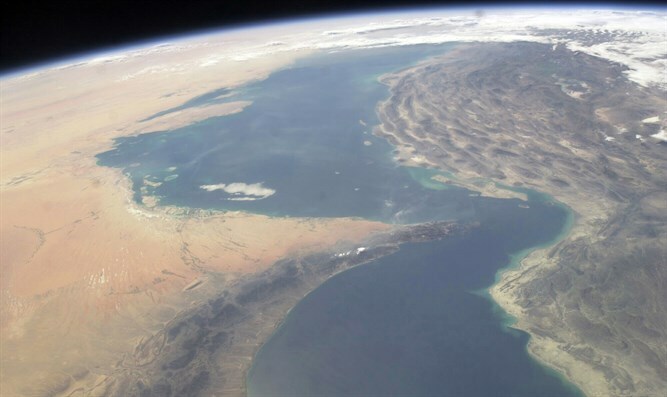 According to the US Energy Information Administration, the vast majority of oil exported from Saudi Arabia passes through the Strait of Hormuz. Iran has threatened to take action against oil shipments in the Strait of Hormuz in retaliation for the re-imposition of US sanctions on the Islamic Republic. Any Iranian action against oil shipments in the Strait of Hormuz could significantly impact oil prices around the world. Earlier this month, Iran held naval exercises in the Strait of Hormuz in which small Iranian vessels practiced "swarming" techniques for use against US ships. Iranian Supreme Leader Ayatollah has warned that if Iran cannot export oil as a result of US sanctions, no country in the Middle East would be allowed to export oil.